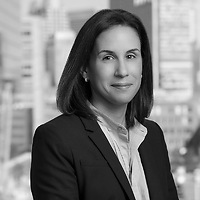 Robyn S. Maguire, a partner in Nutter’s Litigation Department and a member of the firm’s Product Liability and Toxic Tort Litigation and Business Litigation practice groups, authored an article in Corporate Counsel about the U.S. Supreme Court’s decision in Riegel v. Medtronic—which swiftly foreclosed an entire category of products liability litigation on behalf of a heavily active plaintiffs personal injury bar—and the different tacks being taken trying to navigate around it. In the article, “Beyond the Parameters of Pre-emption: The Rise of Sales Rep Liability,” Robyn points out that while the courts continue to sort out the parameters of what can potentially give rise to liability against a sales representative, one thing remains clear. Sales representatives do have a duty to behave as reasonable sales representatives. This means furnishing the appropriate products to physicians who request them, and—still to the dismay of many—being present in the operating suite at the request of the surgeon to offer technological assistance with the device, if needed. According to Robyn, fulfilling these basic duties, without more, will in most circumstances shield representatives from liability, even outside the context of federal pre-emption.